Blvd Tavern has 15 parking spaces located across the street from the restaurant. There is also street parking available. We are located 3 blocks West of the 19th and Main Street Car stop. The private dining room at Blvd Tavern can accommodate up to 50 guests comfortably for a seated meal. Larger parties can be accommodated for cocktails and appetizers. Two old Blacksmith's ovens original to the building are featured in the room. We offer custom menus, coursed dinners, family style service, and much more. The room is perfect for luncheons, receptions, birthday celebrations, or business meetings. 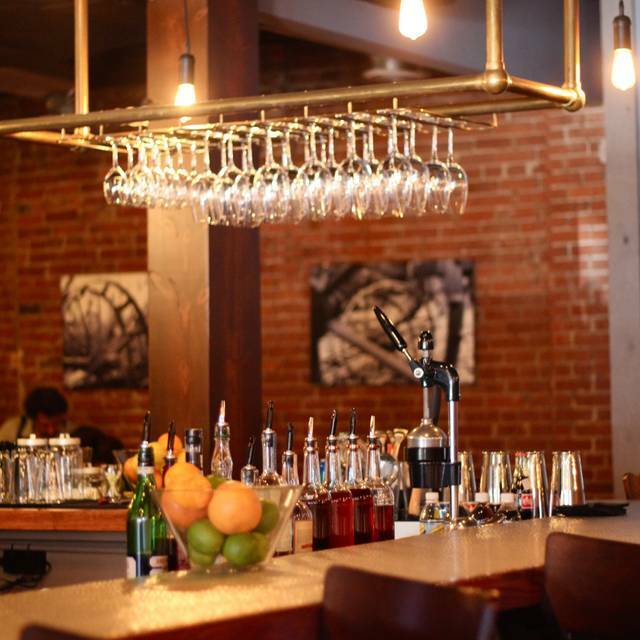 Blvd Tavern is a modern American Tavern focused on delivering warm hospitality, delicious food and great drinks in a comfortable neighborhood setting in the heart of the Kansas City Crossroads Art District. Our menu changes frequently and focuses on seasonal ingredients. We prepare everything on our menu from scratch, from the buttermilk biscuits at brunch to the hand cut fries on our daily grind burger. We offer weekday lunch, dinner six nights a week, and Sat-Sun Brunch. Our dining room is a mix of brick and reclaimed wood (we even have wood from a barn the owner's great-grandfather built on the family farm in 1902). Our quaint patio is one of Kansas City's best kept secrets. We love Blvd Tavern! The food is always outstanding. We can't wait until the patio is open again! 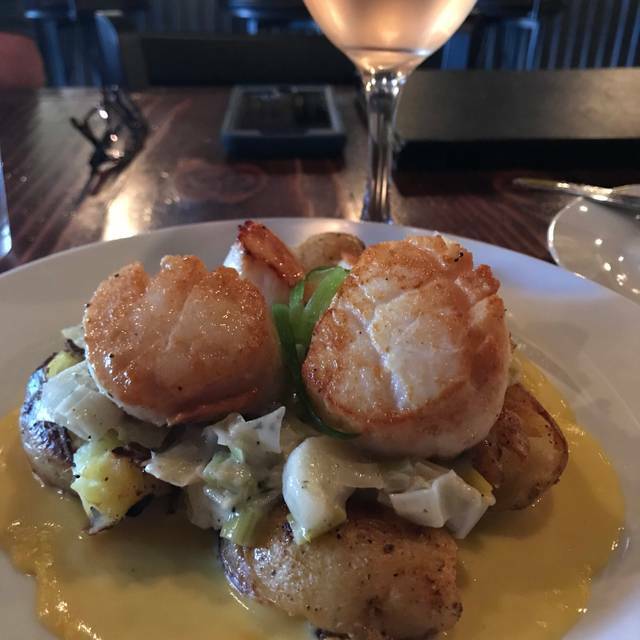 We planned to see a play at the Kauffman Center and found the Boulevard Tavern, it got good reviews and the location is very close to Kauffman Center, so we thought we would give it a try. The best word I could use to describe the experience is disappointment. The prices were above average but the food was not, it was ok but for the price it was disappointing. Went there with out of town family on Sunday. Great table and service. The hummus was excellent and large amount for 5 people. The cheese burgers were so good and came with wonderful salad or fries. Prices for beers great and lots of choices. 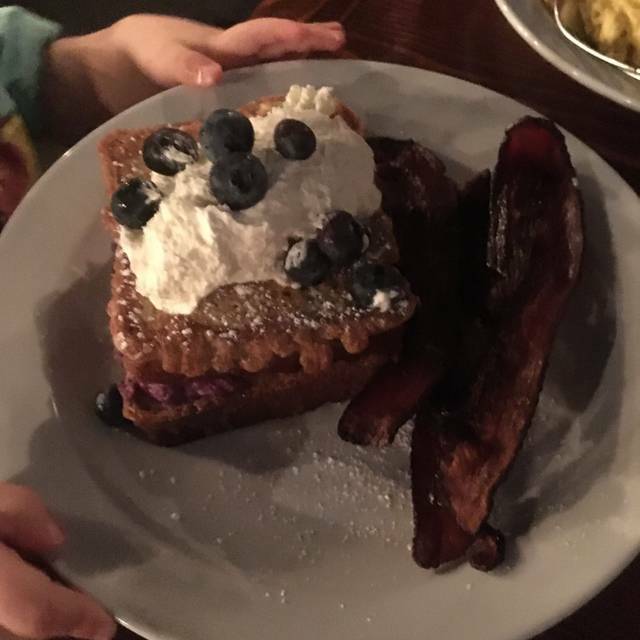 We were at Blvd Tavern for Sunday brunch. Everyone in our group thought their food was excellent (although I thought the portion for the chilaquiles was a little small.) The menu variety was broad enough to accommodate all of our needs. Service was excellent. We had come here once before for dinner and had a great experience as well. We will definitely be back! Great food. Friendly wait staff. The menu is a little pricey for breakfast and brunch. Wish there were pancakes on the menu. A little slow but in a go way. The chicken I had was huge and amazing!! The drinks were great. Our waiter was great. The food was so so. The fries were crisp and had a good double fry but were cold. The burger was had an amazing jam, though slightly thinner or less stout patty would have fit better. The burger was also slightly cold. 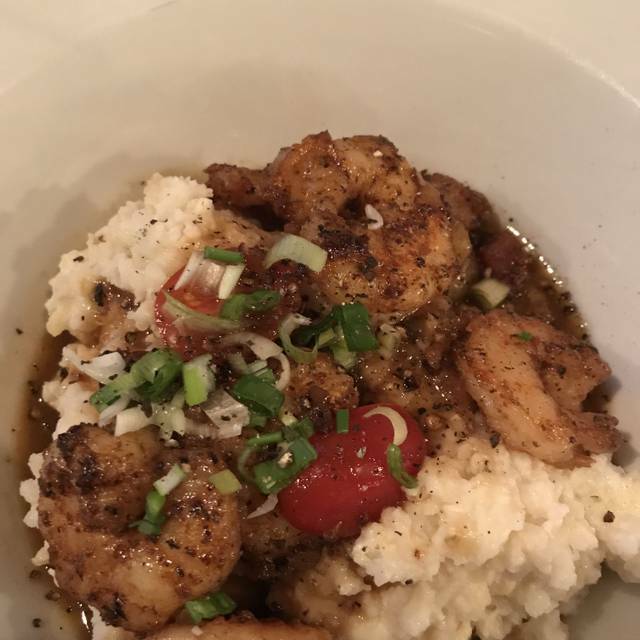 The grits were fluffy but under seasoned. And the sauce was thin. 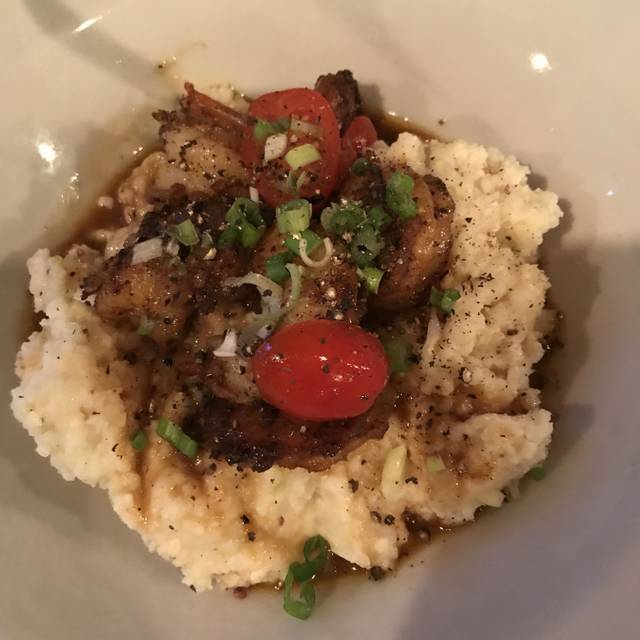 Shrimp and grits should ideally have no sauce with well seasoned shrimp and grits or a thick sauce that blends in well. Brunch is delicious! 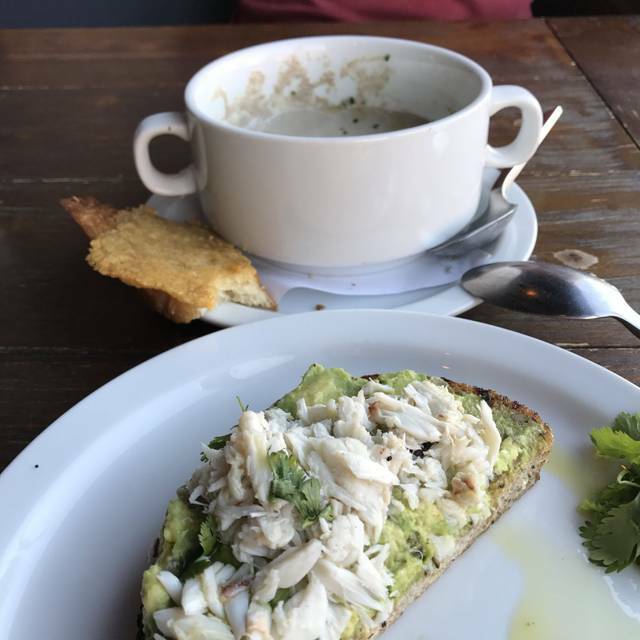 Try the B&G and the stuffed french toast, or opt for the crab benedict if you're feeling bougie. You can't go wrong with either one! Went for brunch on a Sunday. Wasn't my type of crowd but the food was top notch and delicious. I would probably recommend this establishment to a friend. Overall - I felt this restaurant was over priced for what was served. The food was cooked to order and had come right out of the oven when the delivered to my table and the server was very attentive. I did think my chicken and tomato sauce dish could have a used some more flavor as well. Everything tasted amazing! The Bloody Mary was one of the best I’ve had in a LONG time. The only complaint I have is the chicken I ordered was a little undercooked. A great experience. 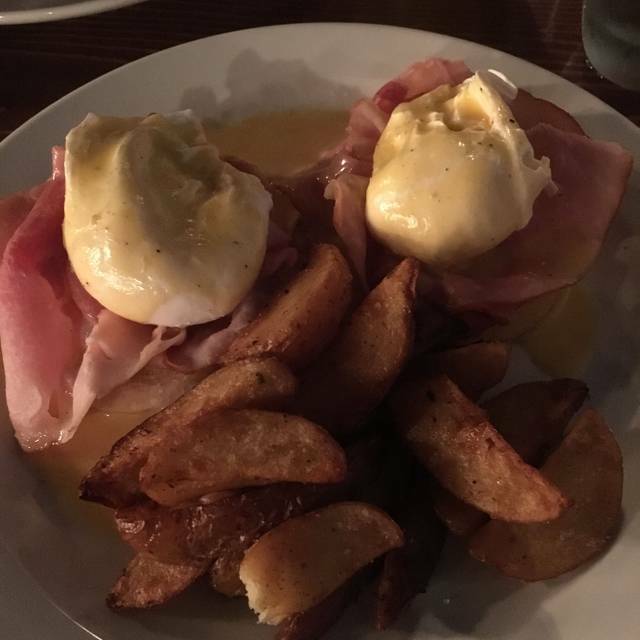 We went for brunch and the food was outstanding! I had the biscuits and gravy, my wife had the chicken biscuit, my boys had the French toast, and my daughter had the cinnamon roll. I tried a sample of all of it and loved it. It was a great atmosphere and will definitely be back! Fantastic charcuterie board and cocktails! Incredible food and cocktails. Had a nice steak with creamy spinach and mac & cheese. Great bartender that can make any drink you can imagine. Very good experience. Will do it again. Food was great and the bottomless drinks. 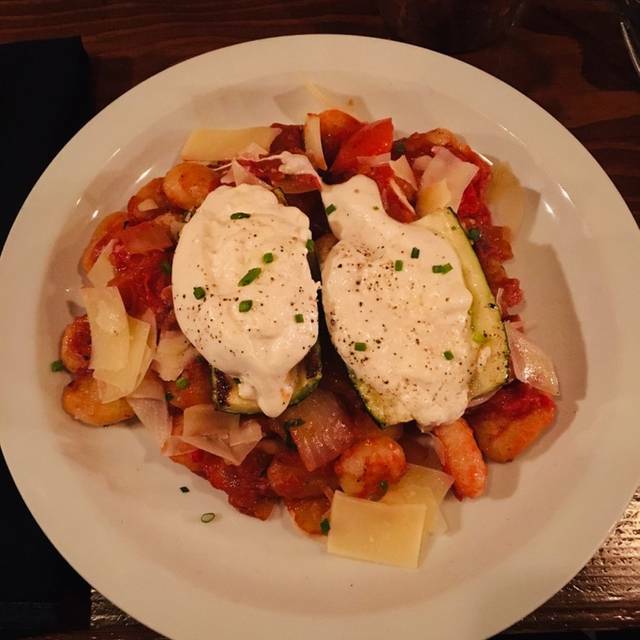 This is one of our favorite downtown dinner spots because the menu is varied and unique, the food is always excellent and well presented, and it is close to Kauffman, Sprint Center, and many theaters. It is relaxed, casual, and very affordable. We tend to be light eaters and go for an appetizer and salad as our meal, and even then we took home enough leftovers for lunch the next day. Also easy access off the street makes it a great place to take my 90 year old mother. Great food and a neat place! Make sure you get a reservation! Unfortunately we were disappointed. We had a thirteen minute greet, the food wasn’t that great, and even the table next to us was getting annoyed and frustrated that they had to wait an hour to get their food. As a server myself that is utterly horrifying. Awesome service! The food was bigger portions than I thought and super tasty. I will come back! The food was great and so was our server!!! We loved the mimosas and thought that the restaurant was super cute! It was my sons bday dinner. We had a wonderful dinner and our server was excellent. He provided great recommendations and was a lot of fun! Hand crafted drinks were awesome. Loved the ambiance. Food was delicious and server was attentive. The biscuits and gravy full order was huge, so I would definitely only do half next time or share. No salt, pepper or sweetener on the table so we had to request all of those things individually. Overall good experience and we’ll be back for another brunch. Great food and nice menu selections. Alexus was fun and did a great job of making our visit fun and memorable. 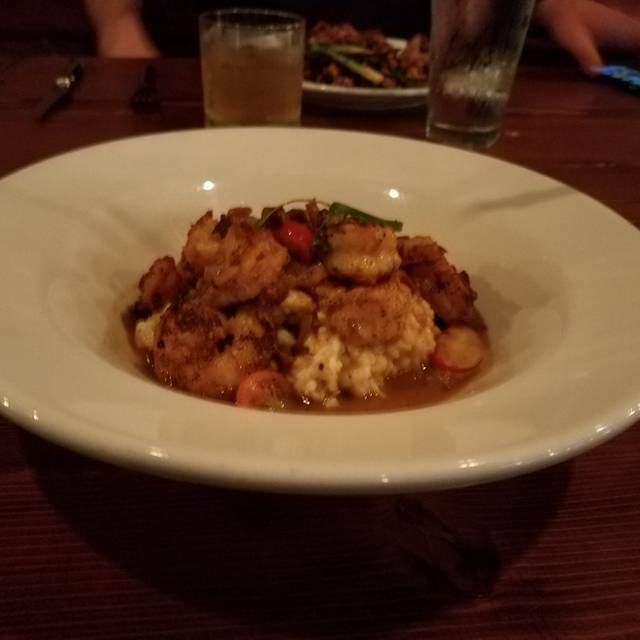 My friends and I came here for restaurant week and before coming we were so excited . Unfortunately it was a let down first the customer service from our waitress was non existent. She treated us with a very uncaring attitude which the whole table noticed . Once she realized we were spending more money then just a few happy hour drinks she changed her attitude . Not cool. Second my friends liked their meals but the shrimp and grits were not fully cooked and it just wasn’t that good. I hate leaving bad reviews but we were so disappointed in how we were treated that we definitely won’t be returning unfortunately. The food was bland and th server was rude although her attitude improved as her area got busier. Great assortment of food for restaurant week! Delicious! Really great food for restaurant week! All 6 of us enjoyed what we ordered. There were lots of good options available. Definitely going to this place again! Bloody Mary was small for the price. We attended an event at the Kauffman Center and drove down Broadway to the restaurant. It was restaurant week and we chose Blvd. Tavern because of its location and the variety of food choices. The food was delicious. I got the chicken and although it looked a little overcooked, it wasn't. It was moist and well seasoned. Loved the decor! A little modern but left the ambience of the original building. Great service, nice atmosphere, large meal portions. Great food! Can’t wait to try more entrees. Also, they have a ‘himosa” with miller high life and orange juice which is a hidden gem!!! We were seated in the back room, much quieter than the main restaurant. Food was as phenomenal as expected. Service was laid back and matched our unhurried desires.